That's who I'd pick, too. 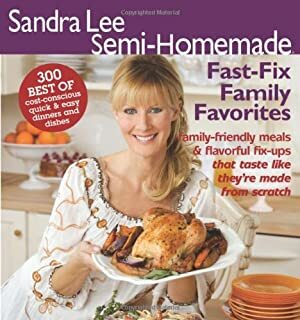 I sure wouldn't mind Sandra Lee cooking for me ! Don't think I would care what it is either ! I would pick Gordon Ramsay too. I'll settle for Mrs Didge. I do all the cooking at our place but Mrs Didge says that since I make the mess I have to clean it up. But once in a while she cooks a meal and I still have to clean up. Why? Because, she says, "Celebrity chefs do not wash dishes." Anyone but Gordon Ramsey. I don't want him! I don't hate him, but don't like his attitude a lot of times. Don't know if he counts as a real chef, but maybe Guy Fieri. If you could have a dinner and invite any political candidate running for President, who would he or she be? If you could have any moment in history recorded on video, and watch it over and over, what moment would you choose?